It is with deep regret and sorrow that the Officers and Members of the Rombout Fire Company announce the passing of Anthony “Tony” Ducharme on Thursday, September 20th 2007. 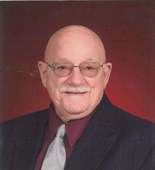 Tony was an exempt member of the Fire Company and was serving as a Board of Director at the time of his passing. Tony served as a member of the Fire Police for twelve years and was a member of the company for twenty-two years.